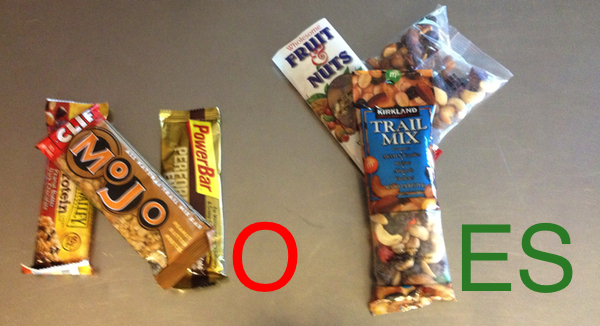 Mountaineering snack tip: the bars forming the "N" for "no," will freeze like bricks in your pack and break your teeth when the temps fall below freezing...or zero as they did on my recent trek. The "Y" for "yes" remain edible. Cheddar cheese also remains edible, but crumbly. Chunk into cubes before the trek. Goes well with MRE crackers.